Earlier yesterday morning it was announced that superstar point guard Chris Paul would be traded to the Houston Rockets. As Paul’s contract states, he had the choice to either opt-in for his final year with Los Angeles Clippers, or opt-out and become an unrestricted free agent, able to sign with whichever team he desired. In the past few days, rumors began to arise that Paul was leaning towards leaving the Clippers and signing with the Houston Rockets. This morning, Paul reportedly informed the Clippers’ Front Office of his intentions and decided to opt-in to the final year of his contract, allowing the Clippers to salvage something out of his departure. Paul will become an unrestricted free agent after the coming season. 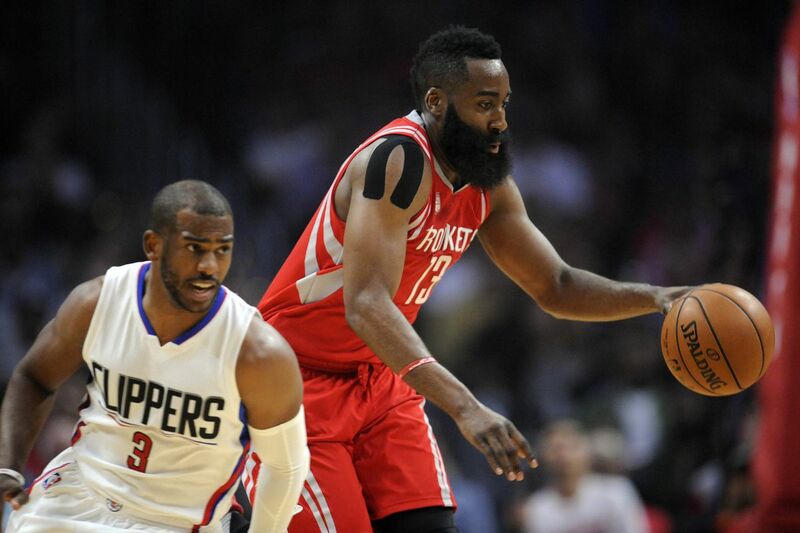 Chris Paul will join MVP runner-up James Harden in Houston. Unable to defeat the Golden State Warriors in the Western Conference, Harden was very active in convincing Paul to join forces with him. Paul reportedly liked the idea of not having to carry the entire offensive load for the first time in his 12-year career. Paul’s arrival will also allow Harden, who averaged 28 points per game last year, to focus even more on scoring, rather than setting up his teammates. Harden will likely be the odds-on favorite to the lead the league in scoring next season. The Rockets, however, are not quite done making moves yet. ESPN’s Brian Windhorst is reporting that Rockets now have their sights set on acquiring superstar Paul George from the Pacers. 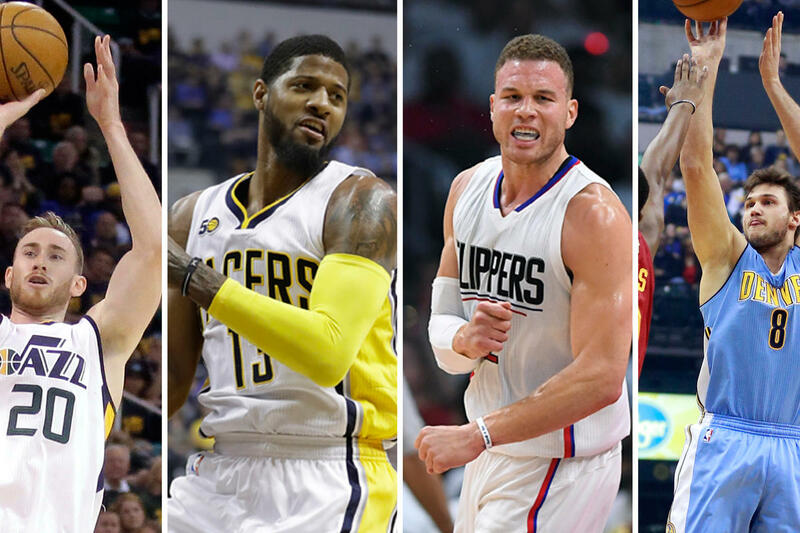 With most of their tradable assets given to the Clippers, the most likely scenario is that Rockets sign a big-name free agent such as Blake Griffin, Paul Millsap, or Gordon Hayward instead. Another possibility for the Rockets, is signing ten-time All-Star Carmelo Anthony should the Knicks buy him out. Paul and Anthony are good friends and, with the firing of Knicks General Manager and known Carmelo-supporter, Phil Jackson, Anthony would no doubt be intrigued by the possibility of joining his good friend on a championship-contending team. Hi, my name is Luke and I'm an addict. A sports addict, that is! Too cheesy? Eh, whatever. Ever since I was an infant, I loved sports. While other kids played with trucks and toy soldiers, I was drawing the jerseys of NBA players. I could recite the players on each team, their jersey number, and college team. I am Los Angeles born and raised. In all professional sports I am team-less and neutral with a love for nail biting finishes. However, the same does not go for collegiate sports...I am a die hard Tar Heel. Which also means that I can't stand Duke (but who can?). You can catch me writing about ALL levels of basketball, collegiate and professional football, and fantasy sports. Who knows - maybe even a little mma or baseball from time to time.